I feel as though the last few weeks have gone so fast because work has been so, busy. I don't want to talk about work; I want to talk about Halloween, eeeeeeeeeeeeeeeeeeee, with a prodigious amount of glee. I feel like a kid waiting for Christmas since Halloween falling on Saturday, it's going to be so much fun. 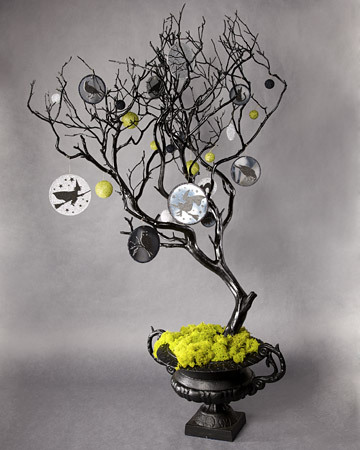 I've been researching for crafts and idea to implement and trial at work. 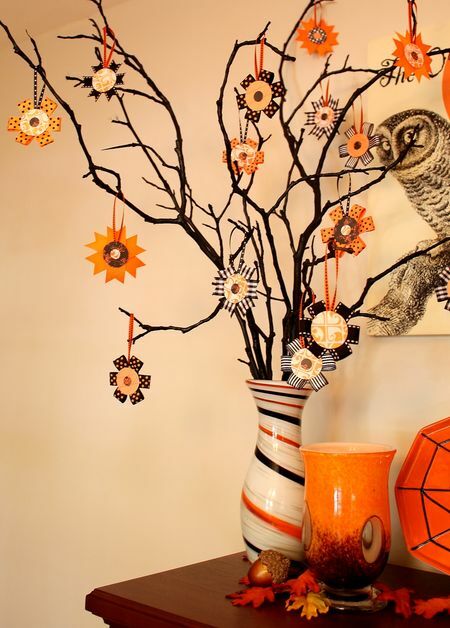 Over the last few week, I came across Halloween DIY projects that I've fallen in love with and inspired me to try out. 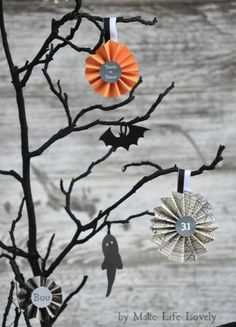 The main thing I've wanted to try is Halloween tree with my hand made decor and anything else I fancy. I know the only time you see the trees is at Christmas. Even throughout history and personally, there is some connection to trees or forest areas. Throughout mythology, trees have held great reverence and significance for providing the essentials of life, warmth, nutrition, and habitats. 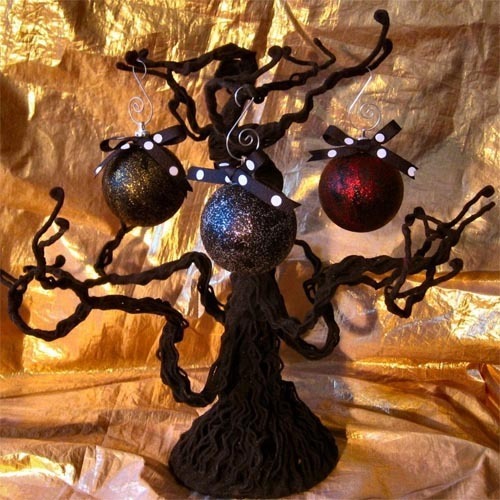 Trees for many have held spiritual functions, home for the gods, predicting children lives, trees manifesting as deities producing blessings through fruits and flower, trees being portal to other worlds and even holding the knowledge of good and evil. Trees have played an enormous significance in life but developed sinister connations as provide fuel for those condemned to burn at the stake for witchcraft or religious heresy. Trees have served a place for those hung or lynched for their crimes. 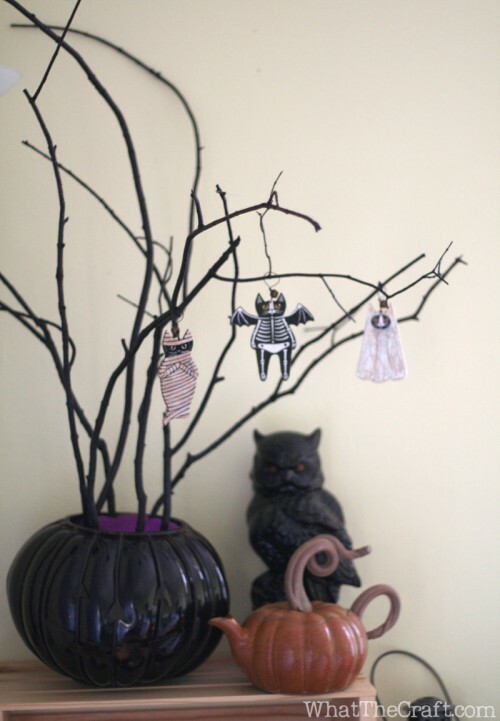 Most significant hanging trees most sinister were during the European and Salem witch trails. 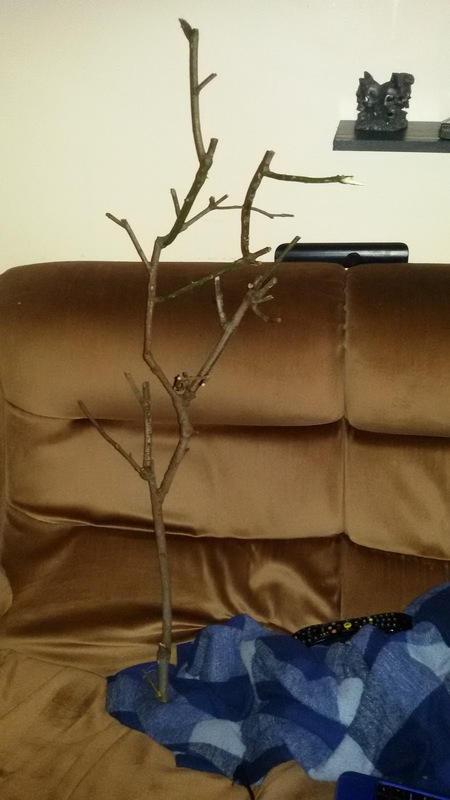 For the base, I had found a stick from one of the branches I cut when I hacked pruned the boyfriend's front. I am planning to find a few more branches and paint them black. This one is amazing to hang things up.